Murder House opening line: When his eyes pop open, it is still dark outside, the air cool and crisp through his window. Is it really possible that the need to kill can be genetic? Could generations after generations of men kill because it is in their blood line? Detective Jenna Murphy is determined to prove who the current killer is and why she feels seemingly unrelated murders are linked. She realizes she might not be able to trust anyone. And the one person who has all the answers does not trust her. It has an ocean-front view, a private beach—and a deadly secret that won’t stay buried. Noah Walker isn’t superstitious. But there’s one beach house in Bridgehampton that has a troubling history of violence and mystery: when Noah was a kid, No. 7 South Ocean burned down in a devastating fire, killing the couple trapped inside. Investigators had no explanation for what happened, and many believe it was no accident. Rebuilt after the fire, the gorgeous, ocean-front property is still known by locals as The Murder House. Now, sixteen years later, a powerful Hollywood player and his mistress are found dead in The Murder House—and the police unearth proof that the couple is undeniably linked to Noah’s past. 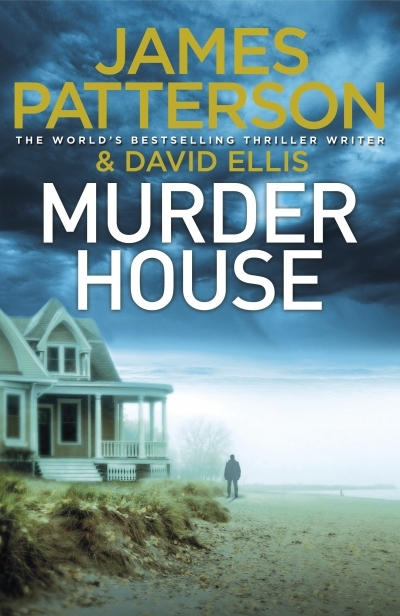 To prove his innocence, Noah must uncover the house’s dark secrets – and reveal his own. Even though I had a suspicion who killed the couple I could not put the book down. And having my suspicions confirmed did not detract for the great story. And the twist in the tail. Love the title. This would be an interesting read.